For the Roman Catholic cathedral in Utrecht, see St. Catherine's Cathedral, Utrecht. Exterior of St. Martin's Cathedral. Utrecht Cathedral from the north, before the collapse of the nave. Etching after Steven van Lamsweerde, 1660. Hendrick van Vliet, 1674, the year of the storm. Military aerial view of Domplein and its environs, 1920-1940. Nederlands Instituut voor Militaire Historie. Altar piece in St. Martin's Cathedral, attacked in Reformation iconoclasm in the 16th century. The church as seen from the tower, in front the temporarily rebuilt section (2004). The first chapel in Utrecht was founded around 630 by Frankish clergy under the patronage of the Merovingian kings but was destroyed during an attack of the Frisians on Utrecht shortly thereafter. The site of this first chapel within Utrecht is unknown. 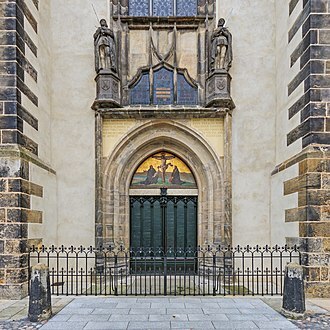 Saint Willibrord (died 739), the Apostle to the Frisians, established a second chapel devoted to Saint Martin on (or close to) the site of the current building. This church was destroyed by the Normans in the 9th century during one of their many raids on Utrecht, but was reconstructed by Bishop Balderic in the 10th century. During this period St. Martin's came to be the principal church of Utrecht, see of the bishop. The church had its own small territorial close (known as an "immunity") and was led by a cathedral chapter of canons, who generally belonged to the nobility. 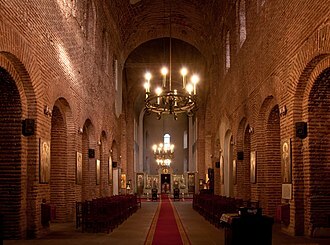 The church was repeatedly destroyed by fires and then rebuilt. A Romanesque style church was built by Bishop Adalbold and consecrated in 1023. It is thought to have been the center of a cross-shaped conglomeration of 5 churches, called a Kerkenkruis, built to commemorate Conrad II. This building, also known as Adalbold's Dom, was partially destroyed in the fire of 1253 which ravaged much of Utrecht, leading Bishop Henry van Vianen to initiate the construction of the current Gothic structure in 1254. The construction of the Gothic cathedral continued into the 16th century. The first part to be built was the choir. The Dom Tower was started in 1321 and finished in 1382. 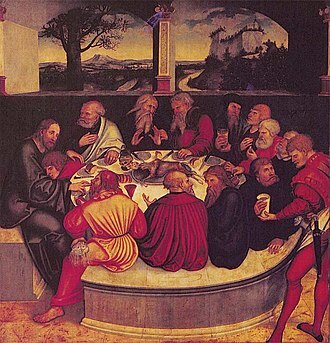 After 1515, steadily diminishing financing prevented completion of this building project, of which an almost complete series of building accounts exists. In 1566, the Beeldenstorm or Iconoclast Fury swept across much of the Low Countries, justified by the Calvinist belief that statues in a house of God were idolatrous images which must be destroyed. As a result, many of the ornaments on both the exterior and interior of the cathedral were destroyed. In 1580 the Utrecht city government devolved the cathedral from the Diocese of Utrecht to local Calvinists. 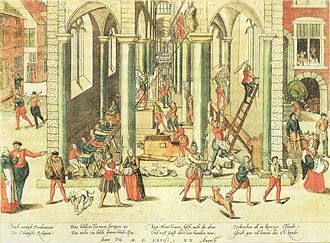 From then on Protestant services were held in the building with one brief exception, in 1672 and 1673, during the Franco-Dutch War, when Catholic masses were again held in the cathedral. A year after the French retreat, the still unfinished and insufficiently supported nave collapsed on 1 August 1674 during a massive storm that caused a tornado. Over the subsequent centuries, much of the enormous building fell into further neglect. The pitiable state of the cathedral led to some small restoration activities in the nineteenth century, followed by major renovations in the early twentieth century with the aim of returning the Cathedral to its original state. 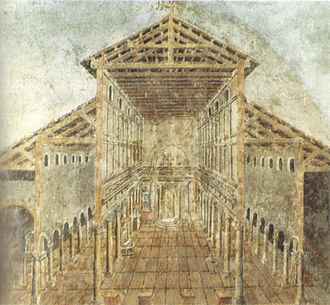 However, the nave was never rebuilt. The Catholic Church remained strong within Utrecht following the Reformation but was legally obliged to worship discreetly in clandestine churches (schuilkerken). One of these churches, St. Gertrude's, later became the principal cathedral of the Old Catholic Church of the Netherlands. The Catholic Church, during the 1853 reestablishment of the episcopal hierarchy in the Netherlands, designated the former St. Catherine's Church of the Carmelites as the cathedral of the Roman Catholic Archdiocese of Utrecht. What remains of St. Martin's today are the choir, the transept and the Dom Tower. The central nave of the cathedral which collapsed in the storm of 1674 is now a square with large trees, the Domplein [nl]. Stones in various colours indicate in the pavement the original outlines of the church. In 2004, 750 years after construction began, the collapsed parts were temporarily rebuilt in scaffolding material. The scaffolding was also blown down in a storm, like the original nave. In 2013 a project has started to expose archaeological artifacts of the St. Martin cathedral. A cloister and a chapter house, which is now the main hall of Utrecht University, are also still standing. The Union of Utrecht, a founding document of the Republic of the Seven United Netherlands, was signed in the chapter house. Utrecht was an important city in the western Holy Roman Empire and had particularly close links to the imperial Salian dynasty. 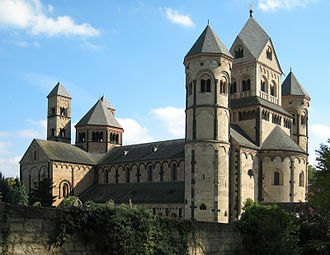 In the early Middle Ages the Holy Roman Emperor was always an honorary canon of the cathedral. The Emperor Conrad II and the Emperor Henry V both died in Utrecht, in 1039 and 1125 respectively. Their bowels and hearts were interred in the cathedral. The modest "Emperors' stones" (keizerssteentjes) in the floor of the choir of the cathedral are a reminder of this fact. The only medieval tomb of importance to remain relatively unscathed in the cathedral is that of the 14th-century Bishop Guy of Avesnes – the brother of John II, Count of Holland, Hainaut , and Zeeland. There are many other beautifully carved burial slabs and memorials in the cathedral. Of particular note is the monumental cenotaph, which contained the heart of the 16th-century Bishop George van Egmond. Borst, P. (1997). Graven en begraven in de Dom van Utrecht (in Dutch). Bunnik: Reinders. ISBN 9789072507266. Bruin, Renger E. de, ed. (2000). Geschiedenis van de stad Utrecht : "een paradijs vol weelde" (in Dutch). Utrecht: Matrijs. ISBN 9789053451755. Hulzen, Albertus van (1944). Utrecht, De Geschiedenis en de Oude Bouwwerken. 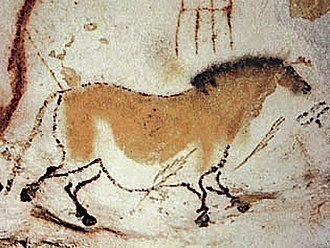 Heemschut-serie (in Dutch). deel 39. Amsterdam: Albert de Lange. OCLC 645419597. Wikimedia Commons has media related to Utrecht Dom church. Henry V was King of Germany and Holy Roman Emperor, the fourth and last ruler of the Salian dynasty. 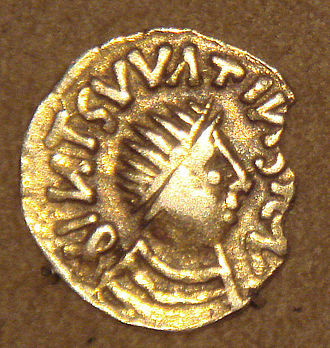 Henrys reign coincided with the phase of the great Investiture Controversy. By the settlement of the Concordat of Worms, he surrendered to the demands of the generation of Gregorian reformers. 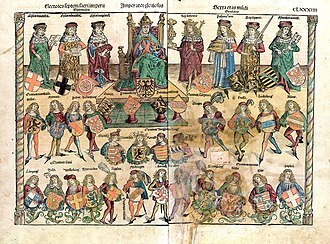 Henrys parents were Henry IV, Holy Roman Emperor, and Bertha of Savoy, on 6 January 1099, his father had him crowned King of Germany at Aachen in place of his older brother, the rebel Conrad. Despite the initial setbacks of the rebels, Henry IV was forced to abdicate, order was soon restored in Germany, the citizens of Cologne were punished with a fine, and an expedition against Robert II, Count of Flanders, brought this rebel to his knees. In 1107, Henry undertook a campaign to restore Borivoi II in Bohemia, Henry summoned Svatopluk the Lion, who had captured Duke Borivoi. 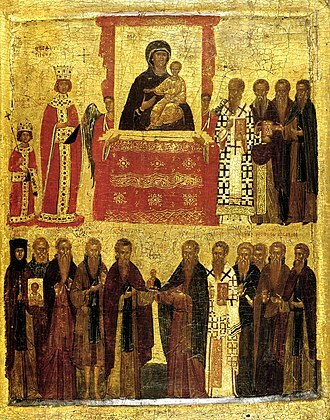 Borivoi was released at the command and made godfather to Svatopluks new son. 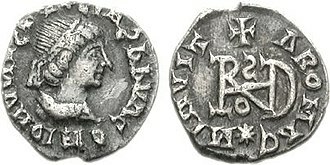 Nevertheless, on Svatopluks return to Bohemia, he assumed the throne, in 1108, Henry went to war with Coloman of Hungary on behalf of Prince Álmos. 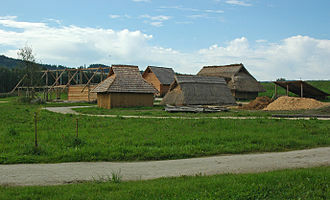 An attack by Boleslaus III of Poland and Borivoi on Svatopluk forced Henry to give up his campaign, in 1110, he succeeded in securing the dukedom of Bohemia for Ladislaus I. Henrys primary concern during his reign was settling the Investiture Controversy, the papal party who had supported Henry in his resistance to his father hoped he would assent to the papal decrees, which had been renewed by Paschal II at the synod of Guastalla in 1106. 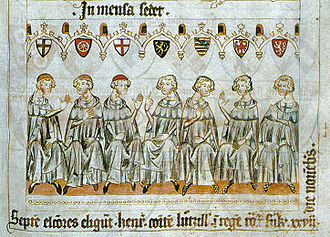 The king, continued to invest the bishops, after some hesitation, Paschal preferred France to Germany, after holding a council at Troyes, renewed his prohibition of lay investiture. 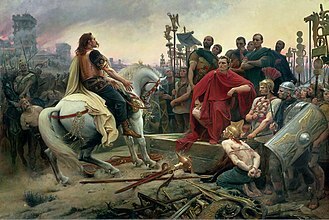 The matter slumbered until 1110, negotiations between king and pope having failed, Paschal renewed his decrees and Henry invaded Italy with a large army. The strength of his forces helped him to secure recognition in Lombardy. 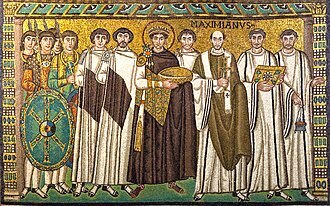 Having entered Rome and sworn the usual oaths, the king presented himself at St. Peters Basilica on 12 February 1111 for his coronation and sixteen cardinals were seized by Henrys soldiers. The Dom Tower of Utrecht is the tallest church tower in the Netherlands, at 112.5 metres in height, and the Gothic-style tower is the symbol of the city. The tower was part of the Cathedral of Saint Martin, known as Dom Church, the cathedral was never fully completed due to lack of money. Since the unfinished nave collapsed in 1674 the Dom tower became a standing tower. The tower stands at the spot where the city of Utrecht originated almost 2,000 years ago, the Dom Tower was one of the largest towers constructed in Europe during the fourteenth century, and it was planned to show the power of the church of Utrecht. Its construction led preacher Geert Groote to protest against the vanity of such a project, suggesting it was too tall, too expensive and all. The tower consists of two blocks, topped by a much lighter lantern. One of the most striking features is the absence of visible buttresses and its particular shape and original architecture had a large influence on many other towers in the Netherlands, including the Martinitoren in Groningen. Upon completion in 1382 the tower stood 109 metres tall, however this height was increased during the restorations in 1910, to its present height of 112.5 metres. The Dom tower was a multifunctional building, in addition to being a belfry, it contained a private chapel of the bishop of Utrecht on the first floor. It served as the watchtower, the guard was housed on the second floor of the lower square block. The Dom Tower has a peal of fourteen ringing bells. In 1505 Geert van Wou, in his time the most famous bell-founder of the Netherlands, the seven smallest bells, sold in 1664 to finance the new carillon, were recast in 1982 by Eijsbouts. The largest bell, the Salvator, has a weight of 8,200 kg, together with the fourteenth bell, they form the largest existing homogeneous group of medieval bells. Today the bells are set in motion by the members of the Utrecht Klokkenluiders Gilde, in 1625, Jacob van Eyck became carillon player of the Dom Tower. In 1664, a new carillon was installed by Juriaan Sprakel of Zutphen, with a mechanism consisting of 35 chimes, made by the brothers Pieter, in 1972 the carillon was restored and extended to 50 bells. A chapter house or chapterhouse is a building or room that is part of a cathedral, monastery or collegiate church in which larger meetings are held. When attached to a cathedral, the cathedral chapter meets there, in monasteries, the whole community often met there on a daily basis for readings and to hear the abbot or senior monks talk. When attached to a church, the dean, prebendaries. The rooms may be used for meetings of various sorts, in medieval times monarchs on tour in their territory would often take them over for their meetings. Synods, ecclesiastical courts and similar meetings often took place in chapter houses, when part of a monastery, the chapter house is generally located on the eastern wing of the cloister, which is next to the church. Since many cathedrals in England were originally monastic foundations, this is a common arrangement there also, elsewhere it may be a separate building. The chapter house comprises a space, in order to hold all the monks of the monastery. 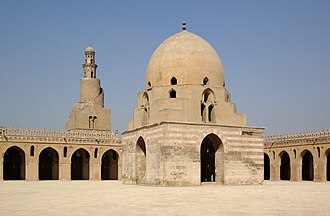 Typically there is seating around, often built into, all the walls of the room, often in stone, the seats for the senior members are often larger than the others, and may be raised on a dais. Usually there is one doorway, and though the room is well-lit where the location allows. Many larger chapter houses are designed with vestibules for attendants and those waiting to be called, there is often a fireplace, and altars are found in some examples, sometimes added later. Many medieval rooms use stone vaulting supported by columns in the centre of the space, the shape of the room is usually designed to allow good audibility for speakers from all parts of the room. 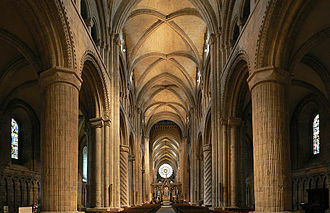 It may be rectangular, tending towards the square, but octagonal and other near-circular plans are an English speciality, like those at Wells Cathedral, Lichfield Cathedral, Westminster Abbey and Lacock Abbey have a single central column, from which the high roof vaulting spreads. York Minster has a roof and no central column. Many have elaborate benched arcades round the wall, with crocketed frames for the seats, in some Romanesque or Gothic monasteries, the entrance to the chapter house has an elaborate façade with a door surrounded by highly decorated archivolts, especially when it is a separate building. The County of Zeeland was a county of the Holy Roman Empire in the Low Countries. It covered an area in the Scheldt and Meuse delta roughly corresponding to the modern Dutch province of Zeeland, the area has always been the prey of its stronger neighbors, the County of Holland, the County of Hainaut and the County of Flanders. In 1167 a war broke out between the counties, after which Count Floris III of Holland had to acknowledge the overlordship of Count Philip of Flanders in Zeeland. Count Floris IV of Holland reconquered Zeeland, which from the accession of Count Floris V, by the 1323 Treaty of Paris between Flanders and Hainaut-Holland, the Count of Flanders reneged from claims on Zeeland and recognized the count of Holland as Count of Zeeland. Nevertheless, Zeeland remained an administrative unit, which in turn was under the administration of the counts of Holland. 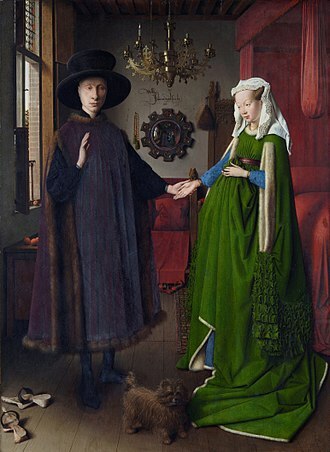 In 1432 it was annexed by the Burgundian duke Philip the Good, after the death of Mary of Burgundy in 1482, Zeeland according to the Treaty of Senlis was one of the Seventeen Provinces held by the House of Habsburg, which in 1512 joined the Burgundian Circle. Guy van Avennes was Bishop of Utrecht from 1301 to 1317. He was descended from an important Hainaut family, the House of Avesnes and he was the brother of John II, Count of Hainaut and Count of Holland, and their parents were John I of Avesnes and Adelaide of Holland. It was John II who ensured Guys appointment as bishop of Utrecht in 1301, instead of Adolf II van Waldeck, and he was consecrated bishop by the archbishop of Cologne in 1302 and he brought about a reconciliation between the Lichtenbergers and the Fresingen. However, in 1304 he weakened his brother Johns position by leading an offensive of Flemish troops which occupied Holland, Guy was captured at the Battle of Duiveland on 20 March 1304. In Guys absence, the Fresingen seized power in Utrecht with the support of the guilds, on 14 September 1305, the guilds regime had to capitulate to bishop Guy, but from on the city retained a high degree of autonomy. However, it took until 1309 before the king recognised the bishop as Utrechts secular lord. Dom Tower, with the remaining part of the cathedral in the background. Dom Church as it looked prior to 1674, with the nave still standing. Etching after Steven van Lamsweerde, 1660. Dom Tower from the northwest. Dom Tower in evening light. Ons' Lieve Heer op Solder is a house church on the top three floors of this canal house in Amsterdam.